A traffic signal at a junction near a foot overbridge (FOB), proved lucky for a large for a number of motorists. 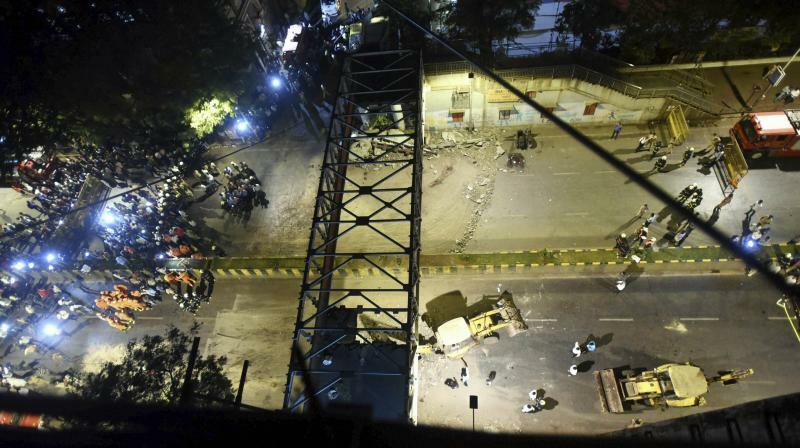 Mumbai: A traffic signal at a junction near a foot overbridge (FOB), a major part of which caved in on Thursday evening in Mumbai, proved lucky for a large for a number of motorists who were waiting at the signal which was red at the time of the collapse. Without the signal at red, motorists would have passed under the bridge near the CSMT railway station, a global heritage site, when a part of it came crashing at around 7.30 pm on Thursday. A taxi driver, who was near the bridge when the bridge collapsed, had a providential escape, though his vehicle suffered damage. At least six people were killed and over 30 injured in the overbridge collapse, officials said.